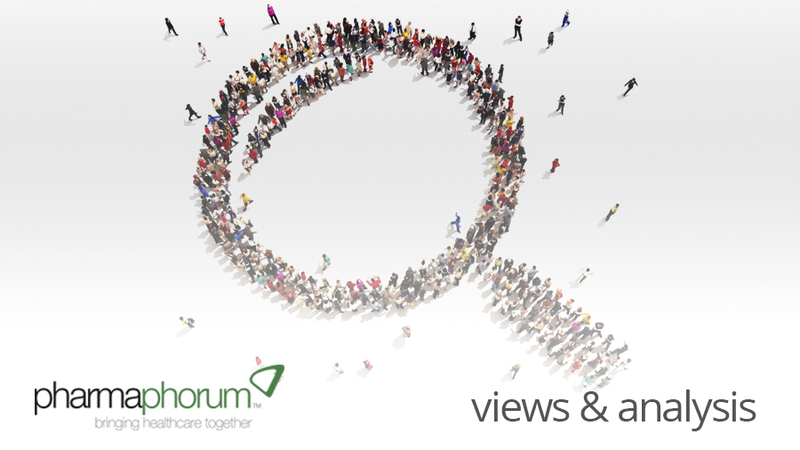 Rebecca Aris shares her highlights from November, which saw a marketing focus on pharmaphorum, in addition to discussions around the impact of the US elections on healthcare and a hot debate around Ben Goldacre’s book ‘Bad Pharma’. Our content focus last month was on the theme of ‘marketing excellence’. We published no less than 26 content pieces in this area and, as a consequence, there has been some very interesting messages in the area of pharma marketing on pharmaphorum. This article features some of my personal content highlights from November, both marketing themed and otherwise. In November, several messages were resonating on the site in the area of marketing excellence. In an interview with Murat Tanoren of Boerhinger, we learned that it is crucial in the pharma 3.0 environment to become personally involved with ‘trends such as social media and mobile technologies’. This message was reiterated in Rodica Ceslov’s article on the successful marketing mix when she wrote “… successful companies will be devoting more resources toward reaching online medical communities via social media…”. Carrie L Carrier, also backed up this opinion with her article, which highlighted how any pharma marketing plan must be portable to reach the modern physician. The message from these content pieces was clear. Social media, online communities and mobile technologies are here to stay and are essential marketing tools. Carrie also suggested that the modern sales rep may wish to present themselves as ‘a kind of information specialist rather than a conventional salesman’. This was interesting advice, shortly followed by an article by IMS suggesting that ‘the pharma sales rep is very much alive and well’. Both messages supporting the notion that the pharma sales rep is by no means dead – but the role is transforming from the traditional model. We also heard how pharma brands ‘must also engage your customers on an emotional level’ in Sunil Ramkali’s article on ‘emotional pharmaceutical brand communications’. This month also saw comment on the topic of healthcare in the US following the re-election of President Barack Obama. On the run up to the election Steven Grossman questioned what impact the US election would have on the FDA in his article. He presented charts of the two possible outcomes of the election with the resulting implications to the FDA. Throughout November we also saw comment on the concept of ‘bad pharma’. Earlier this year, Ben Goldacre published his book ‘Bad Pharma’, on which Nick Broughton expressed his personal views in his article ‘Bad Pharma by Dr Ben Goldacre, the mechanics of a mediocre argument’. In this piece, Nick highlights how he would have liked to have seen a balanced approach to pharma in the book with examples of the good that pharma has done. The article received much commentary and response and even both Ben and Nick got involved in the ensuing debate. If you have an opinion in this area do add your thoughts to the comments section at the bottom of Nick’s article. The article was followed up by Paul Tunnah’s article ‘Tunnah’s musings: bad pharma, good pharma or better patients?’ who wrapped up his thoughts with the comment ‘ let’s throw away the good and bad labels and focus on the practical solutions’. The two pieces were followed by an interview with Ben Goldacre, highlighting the views he expresses in ‘Bad Pharma’. Ben highlighted the issues with transparency in the industry and openly invited individuals from within pharma to join forces with him in tackling the problem. Read his interview to find out why he respects Andrew Whitty, why he believes the sector is suffering in terms of innovation and what he thinks individuals from within the industry can do to begin addressing the issue of transparency. December will see a focus in the area of partnerships &amp, licensing so you can expect content in this area, including an insight into how pharma companies go about looking to form partnerships, with advice from three pharmaceutical companies. We’ve also locked down our editorial calendar for 2013, a look at Q1 is below, but do get in touch for our full 2013 editorial calendar. You’ll see we’ve decided to cover both a disease focus and a discipline focus next year for a broader coverage of topics. Should any of these areas be of particular relevance to you, don’t hesitate to contact us and express your interest in contributing to the appropriate focus month. • You been inspired by a patient’s blog. • There a particular patient you love to follow on Twitter. • There is a patient on Facebook whose messages you can relate to. We want you to nominate the patients you think deserve to be included in our top ten e-patients series. You can nominate via our contact us page, or through our @pharmaphorum Twitter handle – please remember to include the name of the patient, the patient’s social media channel that you love and the reason for your nomination. You can also nominate on our pharmaphorum Facebook page via this poll. The closing date for nominations is the 31st January. We were delighted when our audience rose to over 20,000 unique monthly visitors this past month. It’s great to see that our content is being well received and that our audience is steadily increasing month on month. Thank you for reading and sharing the content that we produce. Finally, I’d like to thank our November sponsors – ‘IMS health’ who will be hosting a webinar on Promotional Trends next Thursday, December 6th. I hope you can make it. Until next month, keep reading, tweeting, commenting and sharing – and have a good Christmas! Rebecca Aris is Managing Editor of pharmaphorum, the primary facilitator of thought leadership and innovation for the pharmaceutical industry featuring news, articles, events / company listings and online discussion. Rebecca was the first full time employee to join pharmaphorum, starting in her current role in mid-2010, and is responsible for coordinating all editorial content on the site. Prior to working at pharmaphorum she was a medical writer at a healthcare PR agency. In addition, she spent three years working as a commissioning editor on three journal titles at a biomedical publishing company. Rebecca holds a BSc (Hons) in pharmaceutical science. For queries she can be reached through the site contact form or via Twitter @Rebecca_Aris. What areas of pharma marketing do you like to read about?